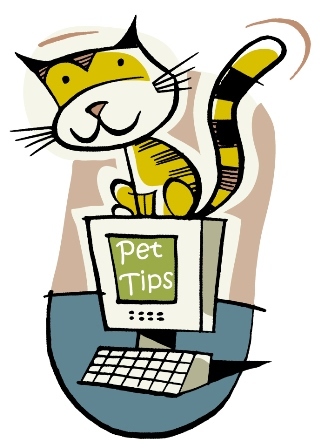 Because you love your pet, you want her to stay safe and healthy. If your dog can get out to ‘take care of business’ when she needs to, her urinary tract and digestive system will be healthier than if she has to ‘hold it’ until you get home to let her out. At home, you’re busy or relaxing, so you don’t want to be disturbed every time your pet feels like they want to check out the back yard. When you have a Hale Pet Door installed in your home, your dog can enjoy the great outdoors whenever he wants – without disturbing you. With an energy efficient Hale Pet Door installed in your door, wall or glass, you’ll have the benefit of a safe and convenient pet door that can save on your energy bills. Because the Hale Pet Door flaps securely close and the pet passage is smaller than opening your people door 29 times a day, a Hale Pet Door could actually save you money! Your pet door is only as good as the company that made it. Since Hale Pet Door was started in 1985, you can buy with confidence – knowing that there’s a company that values every customer and determines its success by customer satisfaction. Your new Hale Pet Door is warrantied for a full 5 years. While other companies recommend that you replace the pet door flaps every year at your expense, Hale Pet Door guarantees the flaps on a pro-rated basis after the first year. Pima Pet Doors’ guarantees their labor and workmanship. You can be confident that all your questions will be answered, and you’ll love your pet door before they leave your home. Pima Pet Doors has already installed several hundred Hale Pet Door across Southern Arizona in doors, sliding glass doors and walls of all kinds including concrete, siding and stucco. Because Hale Pet Doors are simply the best with quality that surpasses any on the market, Pima Pet Doors sells Hale Pet Door exclusively. When replacing flaps in existing Hale Pet Doors, it’s amazing to see that homeowners are still pleased with their Hale Pet Doors after 15 plus years. Call Pima Pet Doors today at 520-261-3890 to find out how you can have the best doggy door installed in your home today!